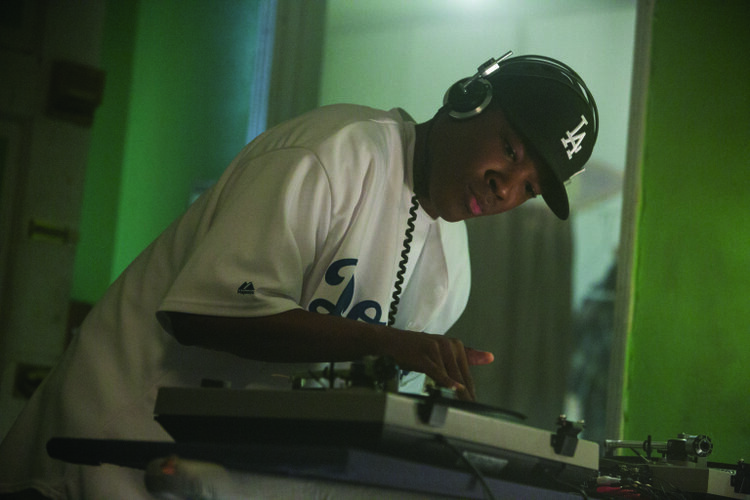 The NWA biopic “Straight Outta Compton” opened on Friday, August 14 has been receiving rave reviews. 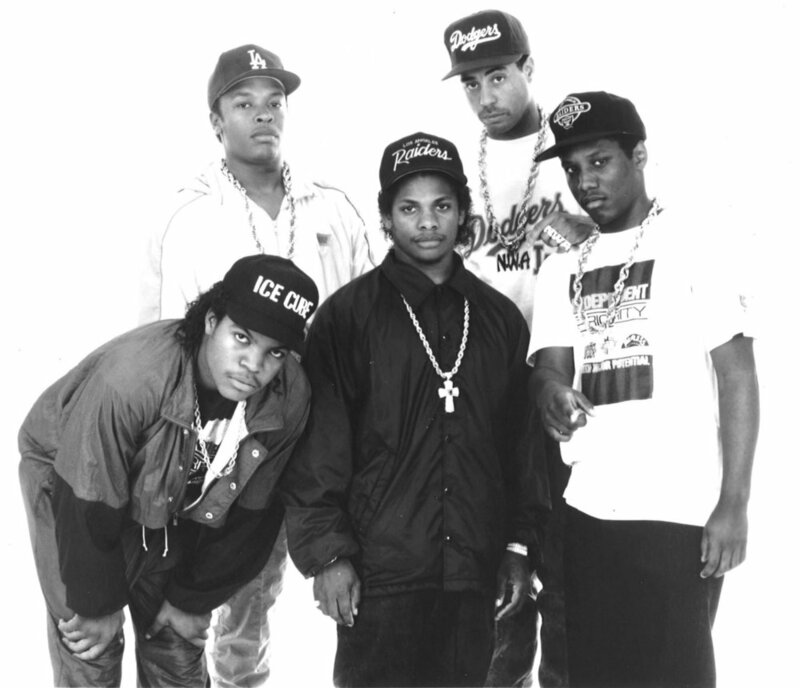 The film profiles N.W.A, the musical group credited with helping to popularize gansta rap. Its depictions of racial tension and police brutality seemed to resonate with audiences still grappling with the aftermath of the deaths of young African-American men Freddie Gray and Michael Brown. 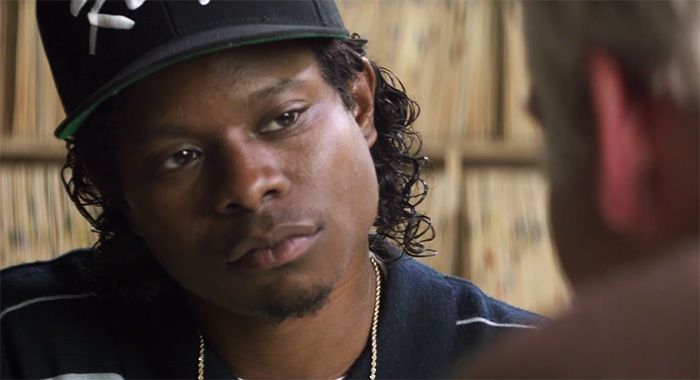 There had been rumors of Lil Eazy E playing his late father Eazy-E but it didn’t work out and Jason Mitchell got that part (he did a great job.) 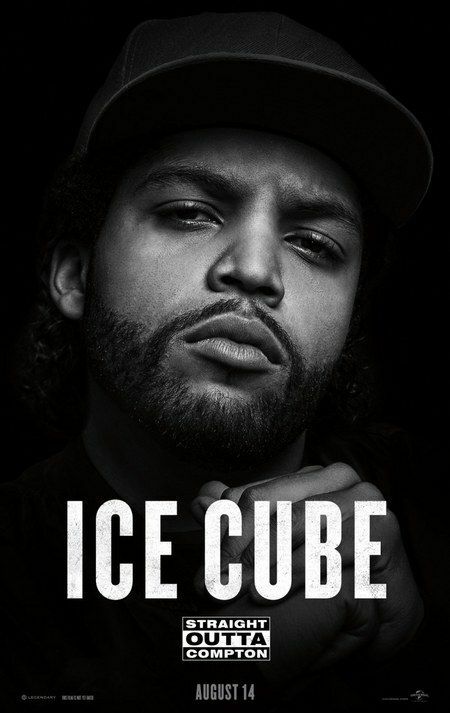 O’shea Jackson Jr., Ice Cube’s own son played Ice Cube and a new comer Corey Hawkins played Dr. Dre. After their debut album Straight Outta Compton is released and becomes a smash hit, N.W.A goes on a national tour across the United States. Along the way, the group encounters many protests directed against them. Clearly African-American rage at the militaristic tactics of the largely white occupying force of police in their communities is nothing new, not now and not in August 1988 when N.W.A.’s groundbreaking album “Straight Outta Compton” was released. There is one scene in the movie when the group, taking a break in the midst of a recording session, are set upon by cops — one of them is even black — looking to jam them for no other reason than their momentary presence outside the studio on the street. We see the tension between LAPD and black kids in the ‘hoods that eventually made the group to create the most controversial song “F**k tha Police” acting as an angry reaction to police violence perpetuated in some of L.A.’s most ignored hoods. The onscreen confrontations with the LAPD build to the Rodney King beating, which we see the stars watching. Eazy E is outraged by the footage. 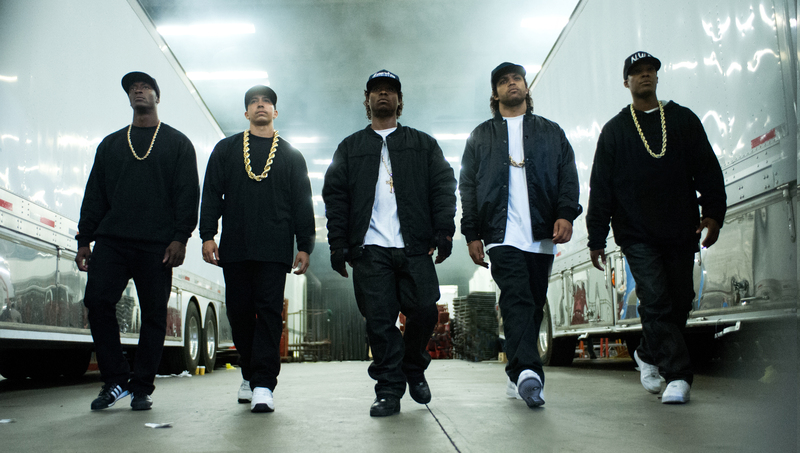 Nods DJ Yella (Neil Brown Jr.), “At least we got those muthafuckas on video.” How grim is it to watch this scene in 2015 and admit that long after N.W.A.’s brave feud with the FBI, things have actually gotten worse? Now we have even more cameras — yet the victims so often are dead. 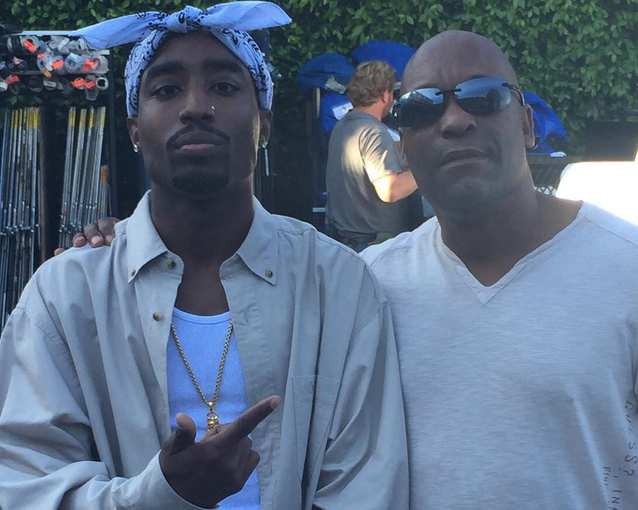 Tupac was also in the film played by Marcc Rose, a spitting image of the man. I was hard to believe that the guy with backwards bandana and all in the studio rapping Dre produced “California Love” wasn’t Pac. 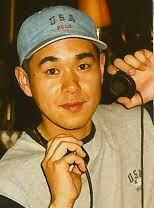 Believe me, you would think that was an actual footage from the recording session. It’s no wonder Rose was tapped to play the fallen legend for John Singleton’s Tupac biopic. 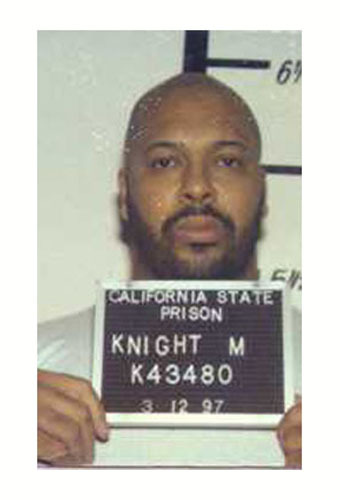 Suge Knight was not invited to the promo shoot, but dropped in unannounced after hearing that a “Suge look-alike” had been hired to appear in the film. It was reported that Ice Cube, a founding N.W.A. member left the set when the fatal crash occurred. As the saying goes, there’s “no such thing as bad publicity”. Thanks to Suge Knight who is back to jail again. This entry was posted in Black History, Movie, Uncategorized and tagged 2 Pac, Dr. Dre, Прямо из Комптона продается максимум за второй уик-энд, Рэп группа NWA документальный фильм, Eazy E, FBI, Ice Cube, Jason Mitchell, John Singleton, Marcc Rose, N.W.A., O'Shear Jackson Jr., Straight Outta Compton, Suge Knight, Tupac. Bookmark the permalink.